Have you ever had one of those days when your nails look a bit off? Yellowish looking nails that is on the verge of breaking easily? This infographic below suggests that most people don't really pay attention to it since it seemed like a trivial matter, nothing to shout from the rooftops about. Let's say you do encounter one of your nails changing color. What is your next move? Is to treat the nail or cover it with nail polish? Some people chose the latter because it isn't painful (yet) or disturbing them physically. It is important to treat your nails whenever you see one of these signs. Be it your nail changing color, your nails thickening, or even when it breaks easily. Be sure to choose the right treatment as to prevent it from worsening. Emtrix can be one of your option in treating these conditions. 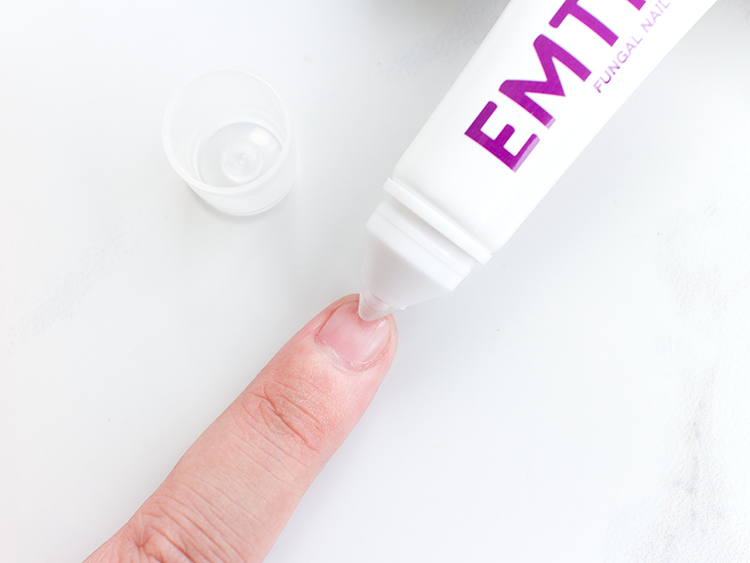 Emtrix contains three active ingredients (Propylene Glycol, Urea, and Lactic Acid) that is able to penetrate the thick layers of nails and sort out the problem directly. It works to treat these conditions effectively around 2-4 weeks for the first initial treatment. It can then be continued for another 8 weeks to optimize the treatment. This treatment can also be used as prevention and to maintain beautiful, healthy nails. 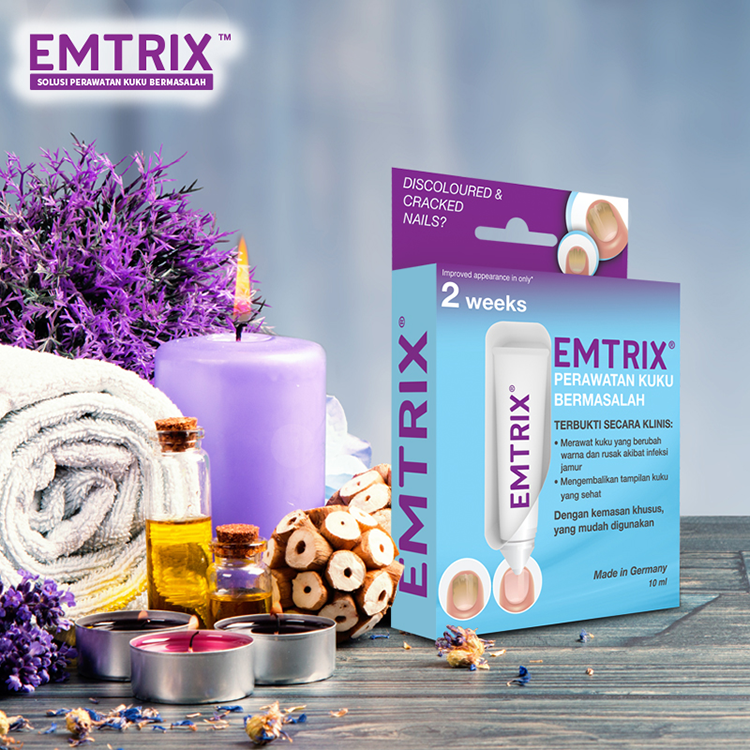 Unlike most traditional medicine that needs to be applied throughout the day, Emtrix just needs to be applied once daily, preferably at night before sleeping. All you have to do is squeeze the tube to get the liquid out and spread it evenly all over your nails with the flexible tip. Very practical, don't you think? I've only used this for a week, so there hasn't been changes yet to my already healthy and non-problematic nails. I'll update you guys on twitter if I notice any changes. 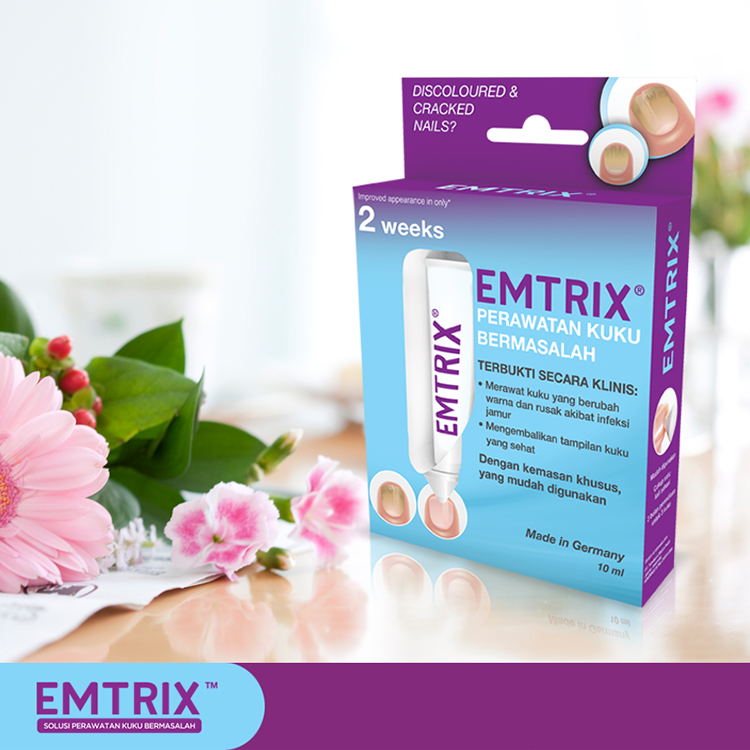 Emtrix is available is most drugstore in Indonesia, such as Guardian, Century, Watsons, Boston, K24, Kimia Farma, and others. It costs around Rp 200,000 - Rp 230,000 for a tube that can last for around 3 - 4 months, give or take. 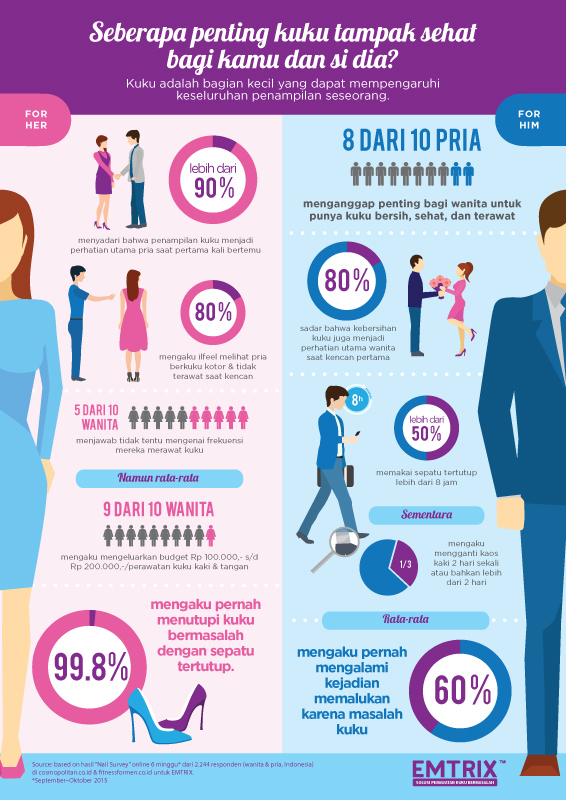 For more detailed information on Emtrix or nail health, you can go to their website at www.emtrix.co.id. There are plenty of information over there. I hope this post is useful to you. Thanks for reading and until then, I'll see you later. Follow me on bloglovin.com/phanie14 ^_^ © Diary Of A Product Junkie (Stephanie Nangoi) All Rights Reserved. This blog is protected by CopyScape.